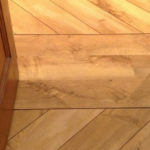 Karndean flooring was recommended to us by a friend who lives near London. We chose Finsbury House as our local supplier & have been delighted with the service. 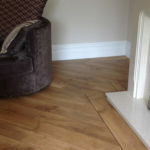 The advisor we dealt with helped us make an informed choice about the style & design of flooring that would work for us. He didn’t push us to buy the most expensive style and provided lots of samples which, in addition to the showroom, were invaluable in enabling us to achieve a beautiful fresh look for our home. 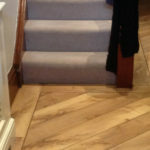 When it came to actually fitting our Karndean flooring, Finsbury House were very flexible with dates and made sure we were inconvenienced as little as possible. The fitter was in our home for two days. Not only was he extremely skilled and experienced, but he was polite and professional and went out of his way to discuss the nuances of the various possible layouts, giving us confidence that we would have a floor with which we will be happy for years to come. After Sales has been fabulous. We have had no complaints but when we asked about cleaning techniques all the guidance and materials were made available quickly and without fuss. 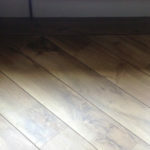 Visitors to the house have been impressed with the flooring and we have had no hesitation in recommending Finsbury House.